Movie-based video games are notorious for being bad. Not only do they generally turn out to be poor games, they also tend to be very flamboyant about it and have no shame in advertising how truly poor they are. 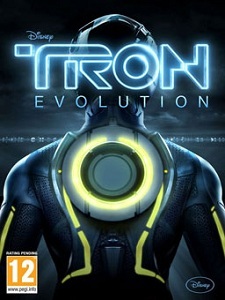 This is generally due to a few reasons, the first being that the games are almost always unoriginal, basing themselves entirely on an already existing game and simply mixing in the movie’s character into the game, giving it a slightly different look, and setting the story to match the movie. Even worse than mimicking the existing game, they also have the tendency to mimic it very poorly and can be found absent of the essentials that made the other game so good. These factors, combined with poor gameplay fundamentals and dynamics, make for a truly dull game. Arguably, even worse is the exploitation that occurs of the movie’s license. Bad video games based on a movie really make the movie look bad itself. The licenses are usually poorly implemented and poor representations of their big screen counterparts. All of these things are the results of a rushed product: when the developer tries as quickly as it can to put out the game without actually trying to put any effort in to make the game fun and original. All of this intro was to introduce you to Aeon Flux, a game that, although not being overly fun or groundbreaking, still manages to use the license well enough and to introduce enough fun, original concepts to actually be a pretty good game. It isn’t amazing by any means, but it is one of the rare movie-based games that looks like it actually tried to make a decent video game. From the start, gamers will notice Aeon Flux is packed with style. From the graphics to the gameplay, the developers did a good job of trying to match the unique style that was presented by the original TV series. The game looks stylish, and the gameplay, from the combat to the movements, are also very stylish in design. This unique style gives Aeon Flux its own identity in the gaming world. Keep in mind, however, that Aeon Flux probably isn’t the game for anybody. This is due to some things that could have, and should have, been improved upon. Namely, the controls can tend to be twitchy and unresponsive. Additionally, there is no real targeting system, making combat a pain at times. (combined with a camera that isn’t always welcoming). Additionally, the game attempts to mimic is TV counterpart entirely in how its structured extremely disorderly. Albeit fun and interesting, the different shows in the series were tied together in so apparent fashion, each new entry into the series was completely unrelated to all of the past entries. The game is the same way, and the story definitely isn’t gripping by any means. The majority of the gameplay is based around its combat, which on the whole is actually quite fun due to its unique style and gameplay setup. The combat is fast and requires good response times, but it is rewarding to watch all of the different moves that can be executed. Additionally, guns can also be used on top of hand-to-hand combat, and there is quite a good selection of weaponry in the game’s arsenal available to the player. The other primary gameplay element is the puzzle solving and platformer setup. Although the moves that make up this aspect of the game are pretty good eye candy, they tend to be very simple to execute and don’t require much skill or timing. Despite that, at least they were implemented well and look good. The animations in the game tend to be pretty fluid and solid, highlighting the game’s good character models. The environments can be a bit sparse and undetailed, but the game moves very quickly so there isn’t much time to sit around and enjoy the scenery anyway. The only real knock on the graphics system comes from its rag-doll physics, which tend to be very poor and unrealistic. On the whole, Aeon Flux turns out to be a pretty fun, appealing, and original game. It has just enough unique concepts and a unique style that make it different from other games and give it a step up on the usual gaming foray. Indeed, certain aspects of the game should have been given more consideration and care, but the game is still quite good and is an easy recommendation for a rental and possibly even a purchase for gamers who enjoy the game’s setup. Truly original games can be very rare and hard to come by. These games tend to be the groundbreakers, the games that push the limits and boundaries set by the current batch of run of the mill titles. They expand the genre and raise expectations of gamers everywhere, increasing the competition and quality of the games related to it. Yet, not all original games are this way. Some are just mediocre attempts at trying to be unique and refreshing. Sadly, these games fail in most regards, usually do to a lack of basic fundamentals. Gun for the Xbox 360 is one such game. Red Dead Revolver, Gun’s closest of kin, was indeed a revolutionary breakthrough in many regards. It offered a unique take on Western gameplay that hadn’t really been attempted before. Even Gun itself for the current-gen consoles, such as the Xbox and Playstation 2, held its own. However, Gun for the Xbox 360 turns up mediocre, and even less, due to sloppy fundamentals and the fact that it is practically the same game as its current-gen counterparts.